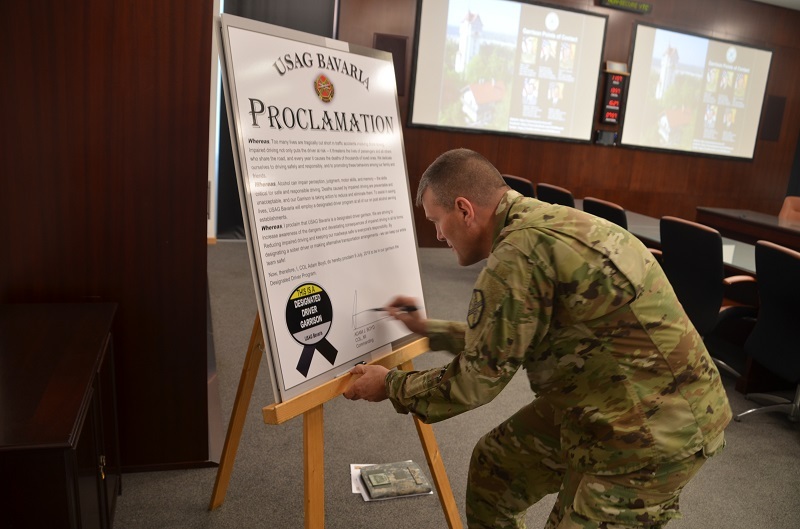 Col. Adam J. Boyd, commander of U.S. Army Garrison Bavaria, signs the Designated Driver Program Proclamation, here, July 9 as part of the ongoing effort to reduce alcohol related incidents throughout the community. 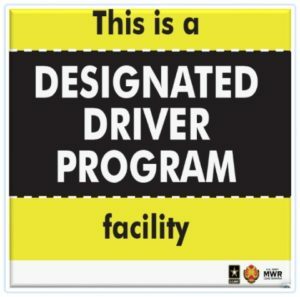 GRAFENWOEHR, Germany — In the ongoing effort to reduce alcohol related incidents throughout the community, the Designated Driver Program was officially introduced July 9 at U.S. Army Garrison Bavaria. The program’s goal is to decrease the number of incidents like drunk driving and other alcohol-related accidents across the installation. “Our hope is that people will take this program when they are going out to have a few drinks with friends, and that they think and plan ahead and have that designated driver as a backup plan to get home safely,” added Tazwell. “It’s going to be the individual’s responsibility to make healthy choices and to have a backup plan. We are hoping that with this proclamation we start that conversation and that action for the healthy behavior,” said Melissa Kreitzer, community ready and resilient integrator. According to Tazwell, the program is not introduced to tell people that no one should ever drink. Instead, it’s aim is to establish a healthy drinking culture across the installation.